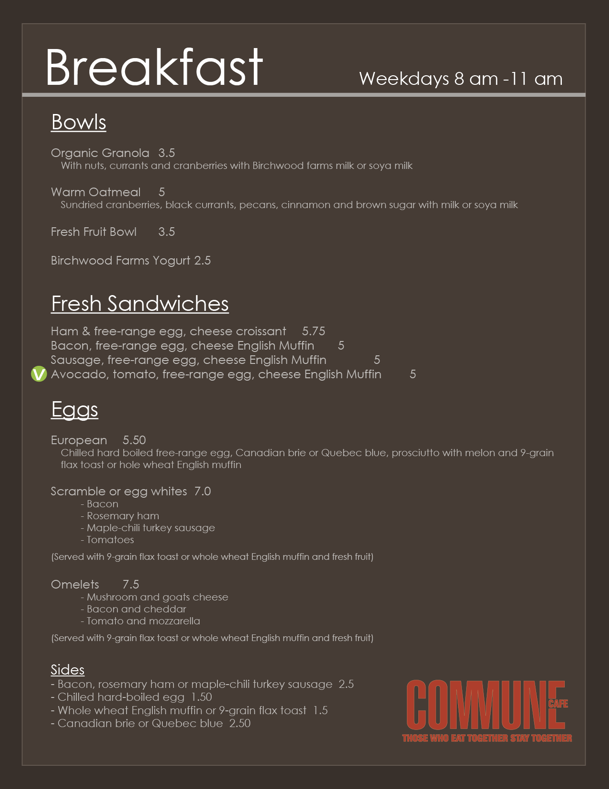 “Those who eat together stay together.” How can one not love Commune Cafe’s motto? The downtown restaurant cafe, touting Green Table and Ocean Wise ingredients, has expanded their breakfast and brunch menus, and added new salads, sandwiches, and entrees to its all day and dinner menus. Commune Cafe is also the only downtown Vancouver vendor of It’s To Die For Banana Bread. Order a loaf or half loaf here. 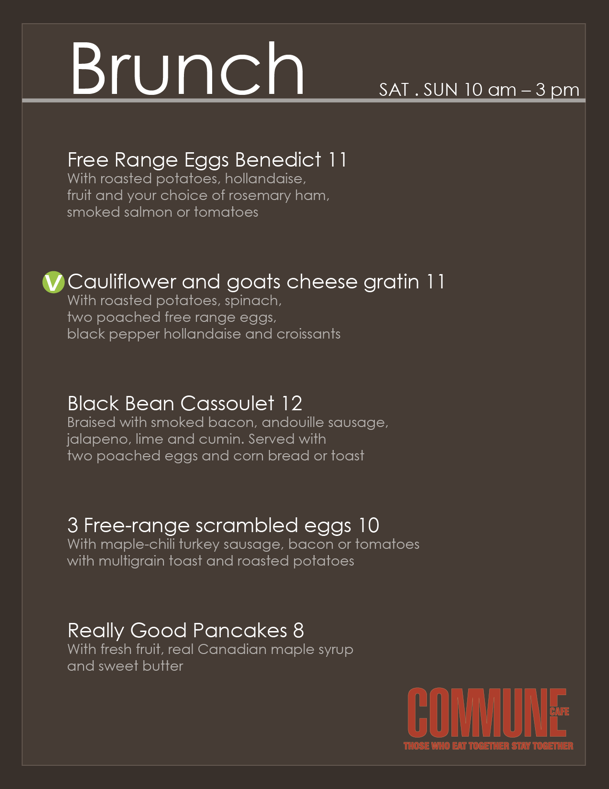 Follow Commune Cafe on Twitter here and join their Facebook page here for daily meal specials.